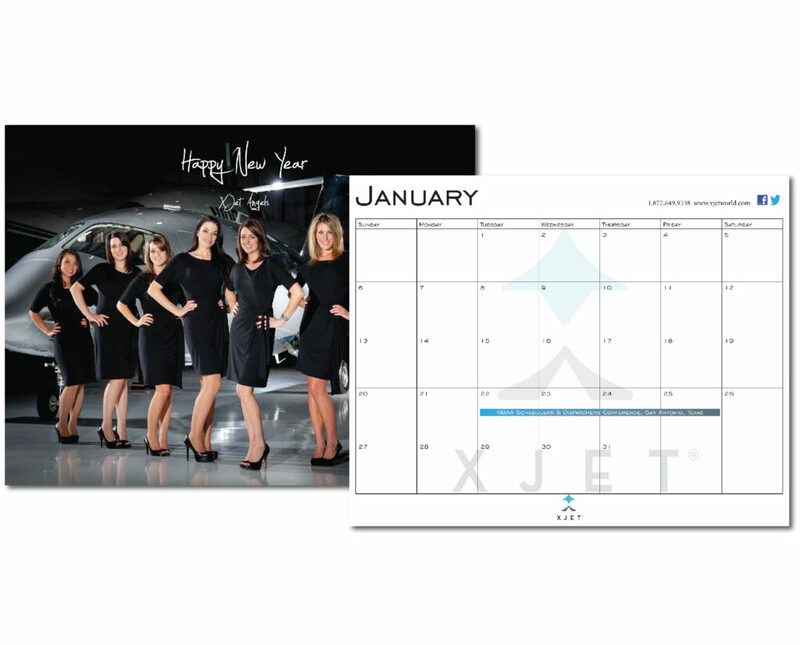 Xjet is an exclusive private and charter aviation program that operates out of the Denver metro area. This aviation company operate as an FBO (fixed-base operator) out of Centennial Airport, and they also offer a variety of aircraft solutions for private jet owners. When Xjet approached our marketing and advertising agency, they wanted unique marketing solutions that matched their unique business model. people, leadership, and facilities that helped make Xjet the #1 FBO in America in 2012 and 2013. While most of our visual identity projects are more traditional (logos, business cards, letterhead, direct mail pieces, and the like), we can produce any type of visual that you need. From breathtaking photography to clever graphics, icons to infographics…as we did for Xjet, we can create a precise visual to powerfully convey any message. Whether you need motivational, aspirational, or educational messaging , we’ll use our strategic planning, graphic design, and photography skills to produce an image that you can use offline and online. Please note: In addition to graphic design and photography, our marketing agency in Denver, Colorado also offers: strategic planning, social media marketing and optimization, copywriting, public relations, event marketing, media planning and buying, branding, and website design and development.